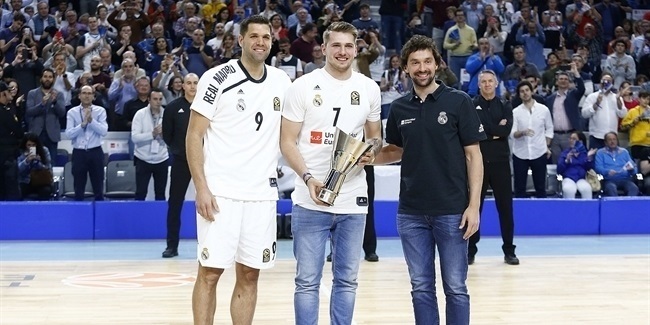 In Real Madrid's quest to host - and then win - the Turkish Airlines Euroleague Final Four this spring, February loomed as a crucial month. When its three Top 16 games were finished, however, Madrid looked stronger than ever, thanks in large part to the leadership of Rudy Fernandez, Euroleague Basketball's choice as the bwin MVP of February. Fernandez lit a fire under Madrid to start the month, putting on the best all-around performance of his stellar Euroleague career against archrival FC Barcelona. Next, he led a takeover run after halftime against Zalgiris Kaunas in Madrid's only road game, another victory. And finally, Fernandez and Madrid returned home to defeat Crvena Zvezda Telekom Belgrade and complete a perfect month. 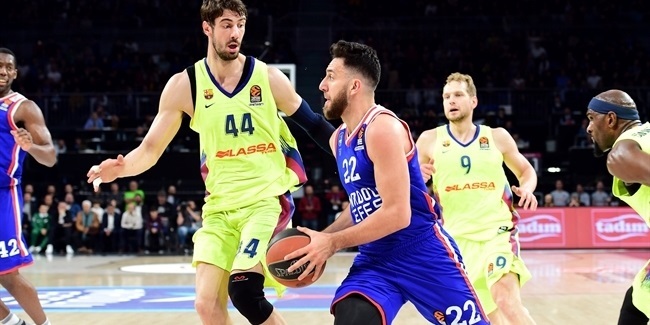 Fernandez was the Euroleague's fifth-best scorer and two-point shooter in February, while ranking seventh in three-point efficiency and making his presence constantly felt as a rebounder, passer and stealer, too. At a time of the season when scoring and winning gets tougher, Fernandez led Madrid to three runaway wins by an average of 21.7 points - a per-game victory margin almost three times greater than any other team's in February. Most important, when the month ended, Madrid was alone atop Top 16 Group E and much closer to all-important home-court advantage in the playoffs, all the more reason for Rudy Fernandez to be chosen for the first monthly bwin MVP award of his Euroleague career. The bwin MVP of the Month honor is now in its 11th season. Although statistics and performance index ratings are taken into consideration for the award, they alone do not determine who is honored. The winner is named by Euroleague Basketball based on his and his team's performance. The award for February was based on the three Top 16 games that all teams played between February 5 and 28. Euroleague Basketball partner bwin is the sponsor of the MVP of the Month award. Just as the best Euroleague player each month combines performance and leadership for success, so does bwin's sponsorship communicate its conviction to be the best betting brand in European basketball. Real Madrid started February tied for first place in Top 16 Group E, but just one victory better than third place and two better than sixth. A stumble in the first game, against always-tough FC Barcelona, could have proven fatal. Instead, Fernandez hit 3 three-pointers in the game's first 5 minutes and never looked back as Madrid won 97-73. It was the second-largest victory margin between the teams in 21 Euroleague games dating to 1994, surpassed only by Madrid's record-setting 100-62 semifinal win over Barcelona at last season's Final Four. Fernandez was everywhere, all night, with 22 points, 9 rebounds, 5 assists, 3 steals and a block adding up to his career-high performance index rating of 38. 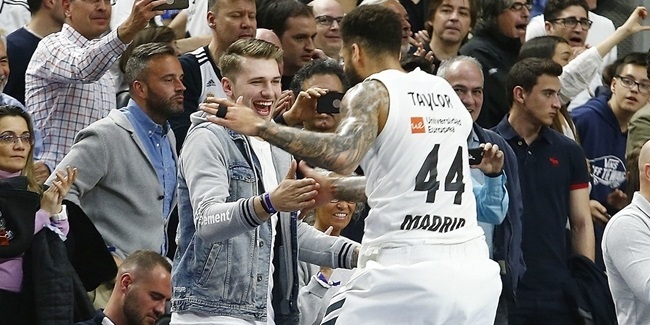 As an encore the next week against Zalgiris Kaunas, Fernandez saved his 3 three-pointers for the third quarter, breaking a halftime tie and sending Madrid to a 71-88 victory as that game's high scorer, with 17 points. The, after a one-week break in which he was named MVP of the Spanish King's Cup, too, Fernandez had another double-digit scoring performance, 15 points, as Madrid overcame an early deficit to move resolutely past Crvena Zvezda Telekom Belgrade to an 85-61 victory. Fernandez finished February's three games with averages of 18 points, 4.3 rebounds. 3.3 assists and 1.7 steals, with a per-game index rating of 25.3 that was second-best for the month. What's more, he was incredibly efficient as a shooter, making 13 of 18 two-pointers (72%), 7 of 14 threes (50%) and 7 of 8 free throws (87.5%). His consistent excellence helped give Real Madrid in great playoff position with six games left in the Top 16, a fact that fans in the Spanish capital are sure to thank him for when Fernandez receives the bwin MVP for February award at an upcoming home game.